Large quality villa with a living area of 400 m² built on a plot of 25 to 35 sq.ft. Its terrace of 139 m ² directed South gives on a splendid garden sported by 20 ares. Composed as follows: Spacious entrance hall with cloakroom and wc, large living room with fireplace, beautiful dining room, fully equipped kitchen. Wellness area including indoor pool, sauna, jacuzzi, gym. Upstairs: Master bedroom (dressing room, bathroom, terrace), 3 additional bedrooms, one with mezzanine and dressing room, a second bathroom + a shower room. Basement with laundry, cellars, wine cellar. Attic storage +/- 50 m². Underfloor heating, music distribution throughout the house, alarm. This charming villa has an ideal location with an idyllic setting and an incredible view. This one offers a large living room 57 m² in "L" with fireplace - tiles (Pierre de Jura). Office 16 m². Family room or separate dining room 12 m². Super equipped kitchen with breakfast corner. Upstairs, 5 BEDROOMS, Wooden floor. 2 bathrooms of which one in parental suite. The villa also has a large 4 car garage (2 automatic doors). A cellar (+ wine cellar), an attic and a magnificent garden with south facing terrace. The whole on a ground of ± 20 ares. Penthouse 4 FACADES, close to shops but quiet. Private entrance via the elevator. Hall with many cupboards and toilet. Bright living room of 57 m² with bay windows on both sides giving direct access to an exceptional TERRACE of 68m ² with hanging garden. Luxurious white kitchen totally equipped (wine fridge). 4 BEDROOMS, one with terrace and dressing room, 3 bathrooms. 2 parking spaces and a double cellar. 215 m² hab. 283m² gross. Double flow. All the space of a large villa in a modern and neat apartment. View of a garden. WELL VERY RARE ON THE MARKET. SALE IN COMPANY SHARES. Beautiful villa of 255 m² on a magnificent plot of land of 29 ares with perfect exposure. Located in a very quiet and green area, this one consists of a large entrance hall leading to a living room of 36 m² with open fire and opening onto the garden. A 17 m² dining room with a fully equipped open-plan kitchen overlooking the swimming pool. 6 bedrooms with two bathrooms. Large garage with 2 indoor spaces. Oil-fired heating and rainwater tank. 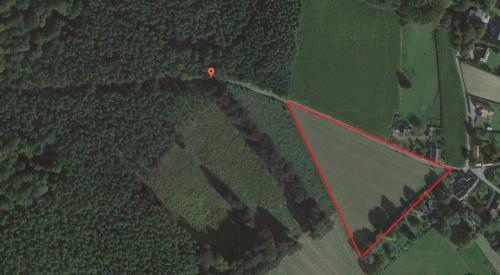 Beautiful land 50 acres in a quiet and luxury just minutes from Waterloo. 300m² built area on the ground. Opportunity to acquire an additional 50 acres to 600,000 euros. 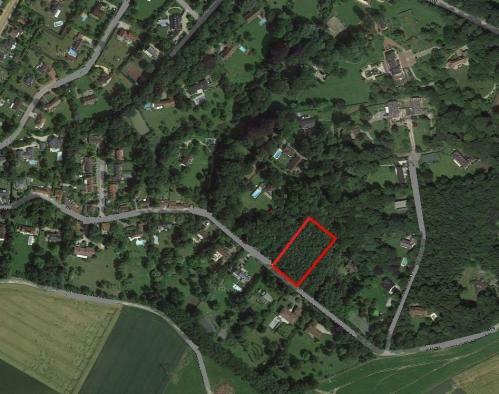 Beautiful wooded land of ± 65 ares in a quiet and high standing. BUILT SURFACE HIGH: 1/20 THE SURFACE OF THE LOT SO 328m² GROUND !! Located ten kilometers from the center of Waterloo. Both the private but also very close to facilities and roads. Exceptional view !! Land located at number 61. Nice classic style villa in the St John's. 50m sqm living room, fireplace, tiled floor. Dining room 17 sqm, tiled. 12sqm office. recent full equipped kitchen with large breakfast nook. 4 BEDROOMS, parquet. 3 bathrooms, 1 shower room. 3 cars garage. Caves. Terrace. Land 12 ares. Villa in the immediate vicinity of St-John's School on 13 ares due south. Large 12 m² entrance hall with cloakroom and separate toilet with washbasin. A beautiful living room of 25.85 m², open fire and a dining room of 15.37 m with natural stones. Equipped kitchen. Laundry room. 4 BEDROOMS ( 20/15/13/8), parquet floor. 2 bathrooms. Garage for 1 car with automatic door. Attic. Cellar. Garden with ideal orientation. Gas boiler. Alarm. Double glazing. Electric gate, electricity according to specifications, EXCLUSIVE IMMOV. The apartment is composed as follows: Entrance hall with guest toilet, large and bright living room with access to the terrace, kitchen open to the living room, 4 bedrooms, including a master suite with bathroom, 2 bathrooms. independent showers. Storage / laundry. Miscellaneous: Terrace of 14 m², 1 garages closed for 2 cars, storage cellar, common laundry. PEB A! New apartment, at the foot of shops, 89m ², two rooms with parquet, 12 and 10m ², living room with parquet floor of 34m ², open kitchen, individual heating gas, security door, independent toilet, the situation in the center of Waterloo is ideal. Cellar. sale under VAT. Currently hairdressing salon of 55 m² + 3 cellars. Totally renovated in the centre of Braine l'Alleud, the living room is tiled, it has a toilet, 3 washbasins, a reception area, 4 workspaces. Air conditioning. Classic sale or sale of shares. Modular price if the buyer is not interested in the furniture.